our Director of Music, and we were delighted that Mr Lawson was able to travel from his home in Spain to hear it. The “Jubilate Deo” is unusual in that it is a predominantly gentle setting and it features an accompanimental figure which allies it with the earlier Te Deum. 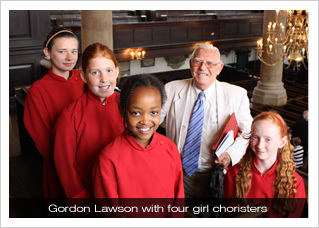 The Choir of Girls and Men will be recording the “Jubilate Deo” on their forthcoming CD featuring works written for our choirs, and his setting of “The Ashwell Carol” will be recorded by the Northampton Bach Choir on their forthcoming CD featuring carols written by Northamptonshire composers, and works written for them. Both discs are being recorded at the beginning of July, and will be directed by our own Director of Music, who is also the Musical Director of the Bach Choir. 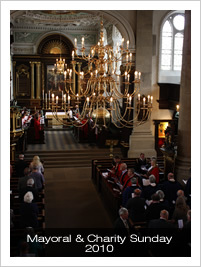 Former Organ Scholar Richard Pinel, now Assistant Organist at St George’s Chapel, Windsor will accompany the All Saints recording and former Director of Music at All Saints, Ian Clarke, will accompany the Bach Choir recording. Director of Music, who he examined in 1996 on one of many ABRSM tours.